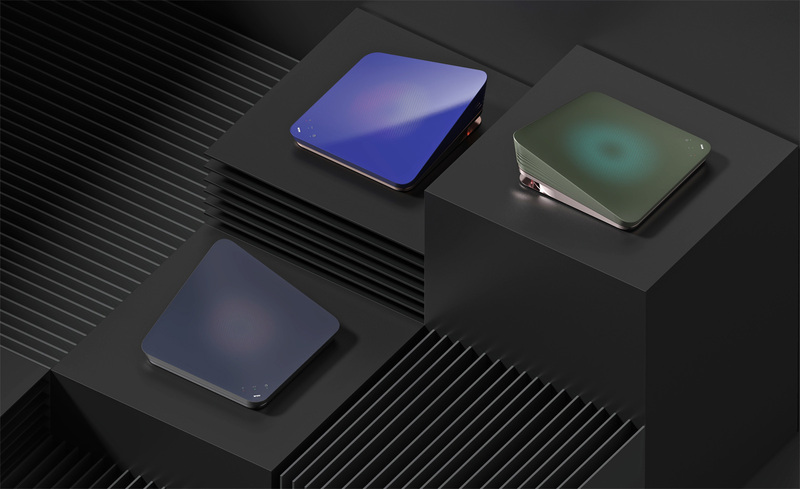 Envary helped Tech startup WyFy to design their new flagship router (and mesh network stations/beacons), requiring an eye-catching product design to market its AI enhanced mesh router globally. 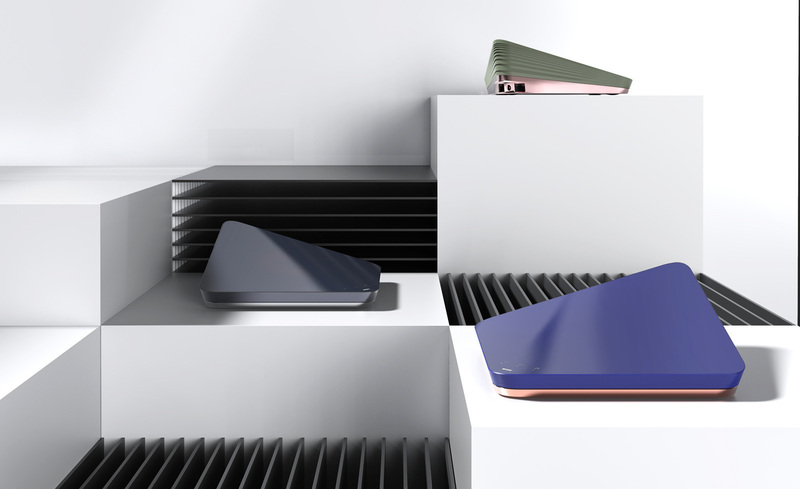 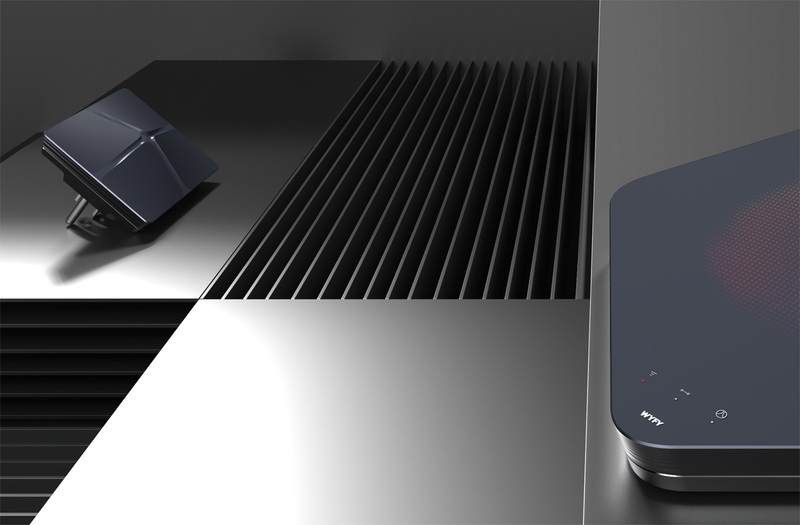 Providing seamless handover of connected devices across its mesh network points, WyFy sought an equally innovative approach for the router’s industrial design. 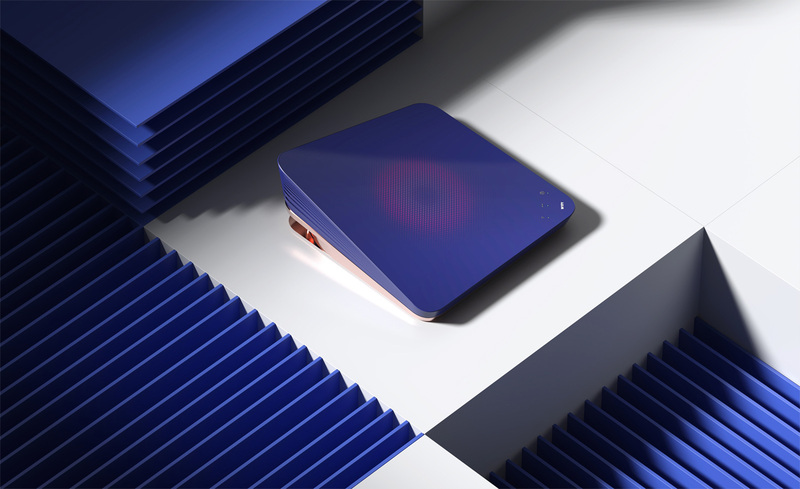 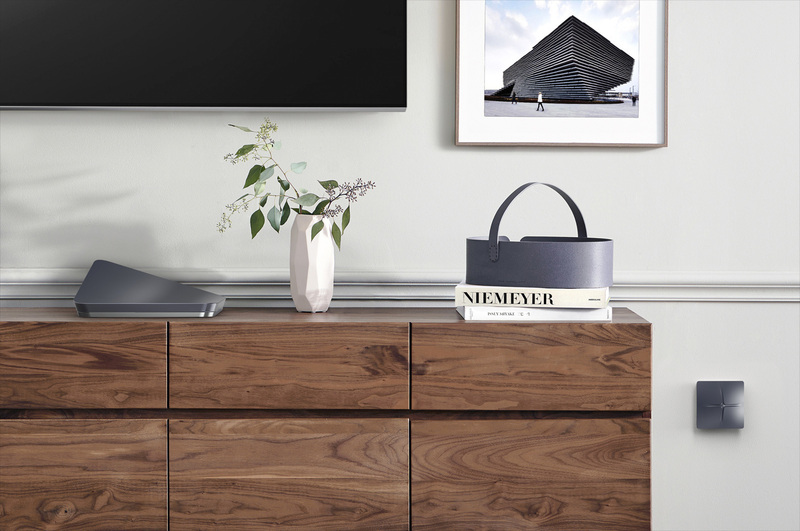 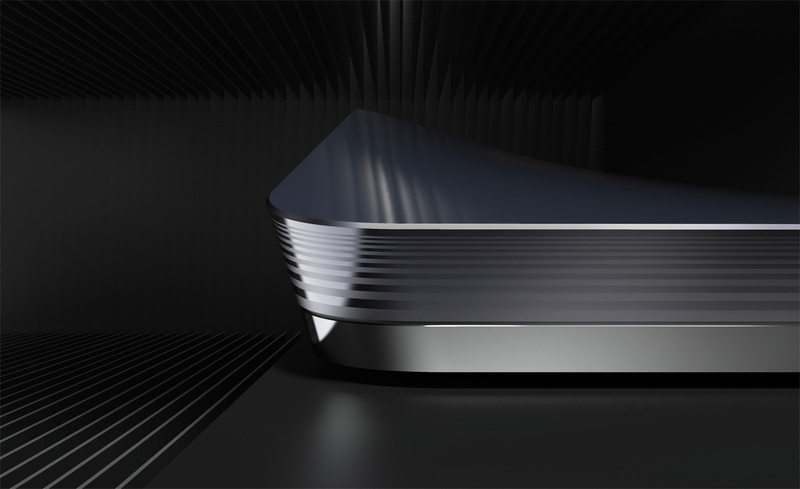 Despite WyFy’s proprietary AI-assisted mesh technology, the startup needed to outsmart similar router products in this relatively new market by housing its tech innovation in truly iconic shape. 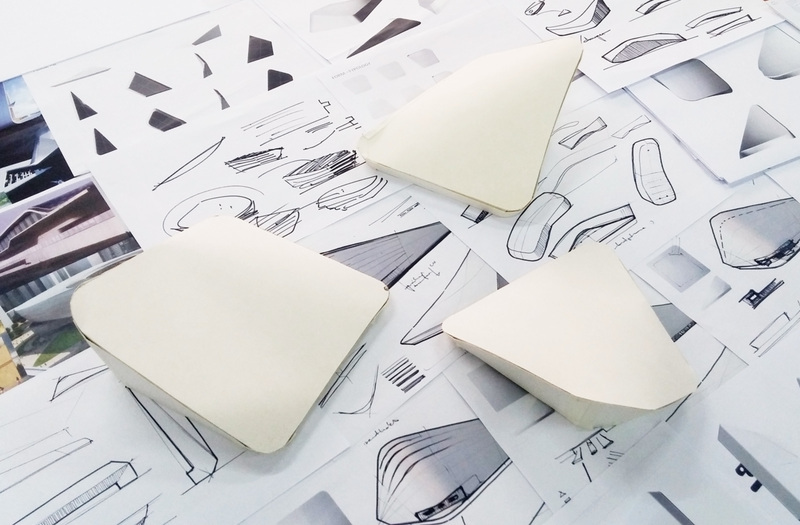 In respect of its attractive pricing our designers aimed to efficiently use design for manufacturing (parts, technology & CMF complexity), keeping costs in check, yet advancing the product’s visual styling beyond the typically boxy market designs of consumer electronics. 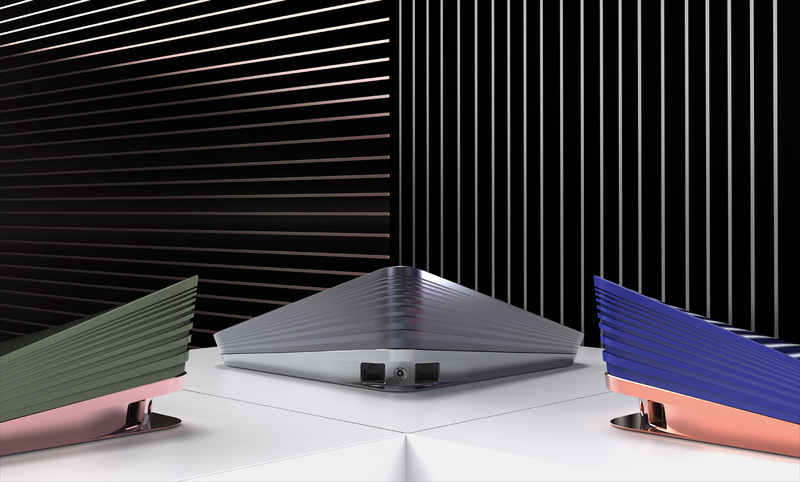 What we did: Initially focusing our design ideation on the meshed structure of such networks, we explored a number of network visualizations, basically assessing how these visual patterns could be applied alongside the surfaces of a fluidly transforming enclosure shape. 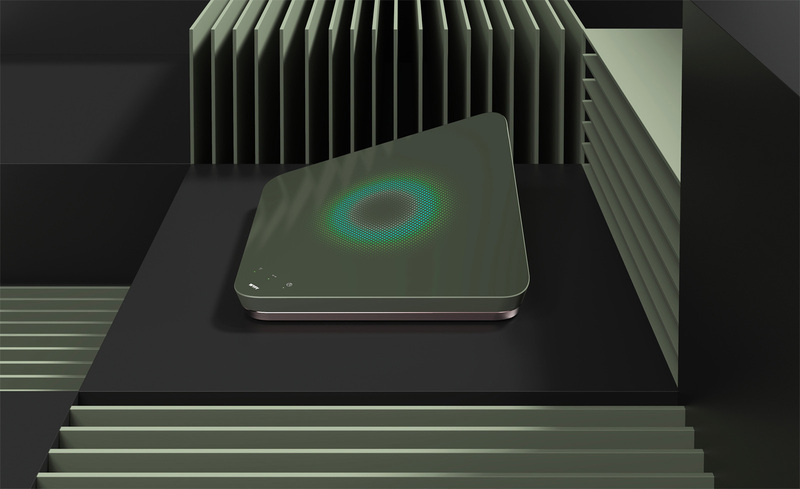 Albeit architecturally influenced, the core idea of the fluidly curved enclosure originated from the mesh’s seamless capability to scale – to morph or transform adaptively to whatever number of devices is connected. 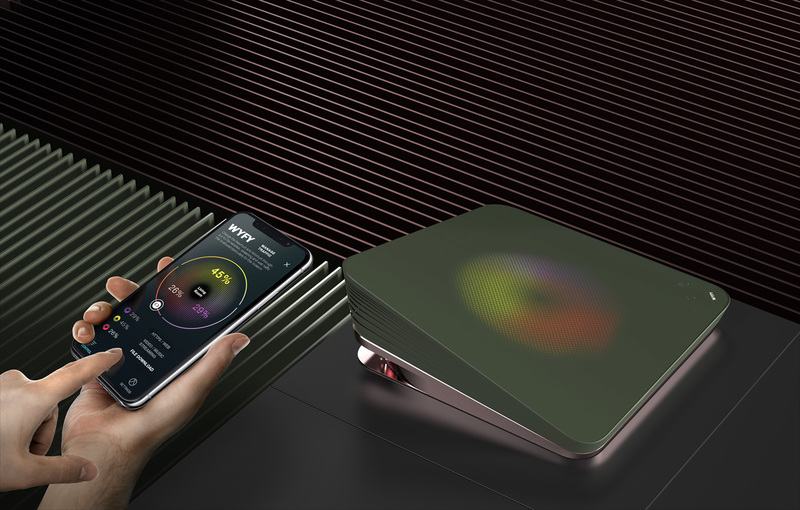 In conjunction we developed a fresh graphical concept for the central router’s user interface and the corresponding app UI. 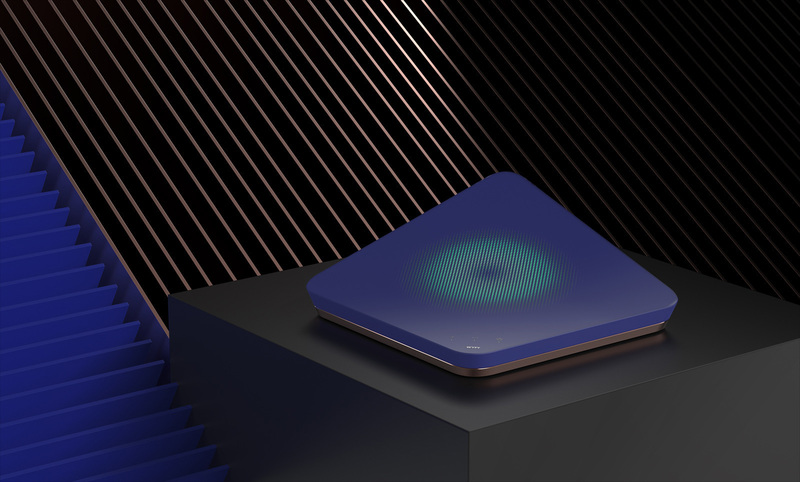 Its resolution: Morphing spheres of smoothly flowing color gradients show the network’s health and directly inform about all related traffic management, simply activated by a tap onto its top surface. 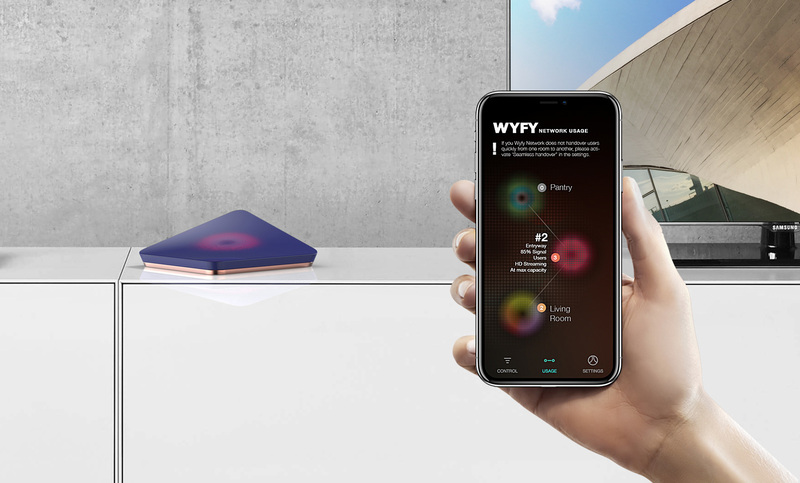 composed of a gridded RGB LED panel the display softly shines through the multi-layered top surface creating the iconic look WyFy originally desired to stand out for their market debut.